We have a great selection of cheap Maui rental cars. Perfect for those on a budget and want to blend in with a used car. We also rent used vans and trucks which really come in handy when you have an adventure planned. Manaloha Rent a Car has been in business on Maui since 1998. We started with a small fleet of cars that we rented to windsurfers and surfers from all around the world who came to enjoy Maui's famous ocean and wind conditions. From there, we gained more and more customers outside of water sports enthusiasts and now we are proud to serve families, hikers, and a broad customer base from around the globe. We are fluent in English, Italian, French and Spanish. Traveling to Maui can make for a long and exhausting day. We will deliver your car to the Maui airport parking lot for you to pick up anytime night or day. A short walk and your in your rental car in minutes! Why spend your precious vacation time waiting for a shuttle or waiting in long lines at a Maui rental car company counter? If you are not covered by your own insurance for our rental car you can purchase a CDW (collision damage waiver) from us for an additional $10 per day with a $1,000 deductible that will cover your responsibilities for damage to our rental cars. However it will not cover damages to others or their property that you cause with our vehicles. Manaloha Rent a Car carries Liability Insurance (third party insurance) only for what is required by the State of Hawaii minimum coverage law. We recommend that you do not rely on our liability insurance for your coverage as it is minimal. We instead request that you check with your personal car insurance company for rental car coverage as they usually have this option within their policies. Also general travel insurance has affordable rental car coverage as well as many credit card companies. Our rental car selections start with the vehicles model year. Our older cars are between the years 2000 and 2002 and our newer models are between the years 2003 to 2007. All our Maui car rentals have A/C, are clean and methodically checked by our skilled mechanics before being rented to you. We will send you a *lock box number along with the cars description (model and color) in your confirmation email. The box is attached to the back bumper area of the vehicle along with our bumper sticker (yellow Manaloha sticker) - making it easy to identify. The lock box cover must be securely replaced before driving so as not to lose it which could result in an additional fee for replacement. When you book a Maui rental car with us your not just getting a quality car at affordable prices, but you become part of our ohana (family). We will do our best to make sure your Maui rental car experience with us is convenient, safe and and affordable for your relaxing and magical Maui vacation! You can save as much as 30% over companies like Budget, Alamo and Enterprise car rentals. Aside from this we are also very competitive with other discount car rental companies in Maui and believe we have the best maintained and cleanest affordable rental cars on the island! We have been hire car on Maui since 1998, with convenient pick-ups directly from the OGG Kahului airport. 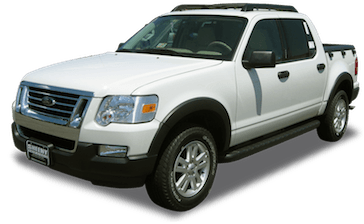 We developed a large fleet of vehicle including regular car, Sports Utility Vehicles (SUV), mini van, full-size van for visitors looking for less expensive cars that will fit better with the local spirit. If you have to cancel your rental car we will refund your money if you inform us of your cancellation within 48 hours of your arrival. We charge $80 if your cancellation is after 48 hours and $100 if you do not show up to pick up your rental car at Kahului airport. Our friendly staff is here Monday thru Friday 9am to 4pm and Saturdays 9am to 1pm to answer any questions you may have. Our shop is closed on Sundays but we still deliver rental cars to Kahului airport if prearranged. Our shop is located at 200 Waiehu Beach Road, 96793 Wailuku Maui Hawaii. Hawaii law requires that children under the age of four to ride in a child safety seat and children ages 5 thru 7 to ride in a safety seat or booster seat. It is the driver's responsibility to provide child seats and safely secure children while riding. Seat belt laws are strictly enforced in Hawaii especially where children are involved. Our rental car fleet is large and includes economy sedans, minivans, sport utility vehicles (SUV), pickup trucks and full size vans that fit well with Maui roads and the spirit of the local lifestyle. 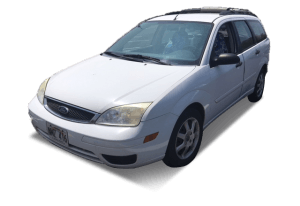 How do we offer the cheapest car rentals on Maui? We are an independent locally run Maui car rental company that relies on word of mouth and customer reviews. This allows us to pass on savings to our customers. 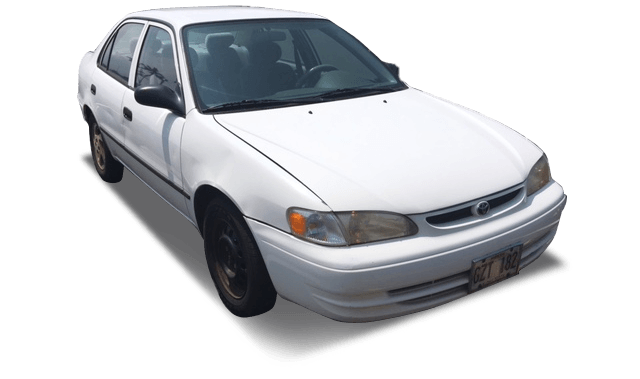 We have an in-house fleet of well maintained cars, vans, and jeeps that we offer at the cheapest car rental prices on Maui. How do I pick up my car at the airport? How do I drop off my car? You have 2 option: During business hours 9 am to 4pm, monday to saturday you can come to our shop, we will take you to the airport, we are just 4 miles away from Kahului Airport (OGG) Outside the business hours, you can easily drop off your car at the airport parking , 24/7 if you choose this option submitting the reservation, you’ll be charged an additional $15, that is the amount we will pay getting your car out of the parking the day after. All our customers love this way of getting and leaving the car, because allows them to use all their precious time in the island and not waiting for a shuttle or behind a desk of a big national rental company. Is the car full of gasoline when we rent it? What happens if our car breaks down? We keep good care of our cars, thanks to our great mechanics, but anything can happen, and when it does just call our service number +1 808 283 87 79 letting us know where you are and what happened , we will send you right away our emergency team, with another car for you, or we fix yours.It can happen that we don't answer right away, maybe we are with another customer, please send us a text message or leave a voice message, we will be back to you in no time.Anything happens after 8pm if so, call us and we will tell you the number of our Night-Time-Emergency-Company, that is the most reliable of the island, they will take care of you. Picking up the Car at the Airport Parking you will end up paying a max of $15 that is the airport daily fee, if you pick up the car on Sunday you can pay up to $30 because we delivered the car the day before.It is a reasonable fee considering that you are avoiding waiting with luggage's for a shuttle and also long wait at the Rental Company Desk.  Why choose Manaloha rent a car? Unbeatable rates, personalized service, and reliable vehicles. The number of years that we are in the business is one reason, we care about your good experience using our car rental driving around Maui. This is why we have lots of happy returning customers. Our cars are used, but clean and reliable . Très bonne expérience. Les voitures ne sont pas neuves mais fonctionnent parfaitement ce qui donne un rapport qualité prix très intéressant. Sergio parle Anglais, Français et Italien ce qui facilite l'échange. A recommander pour visiter Maui.